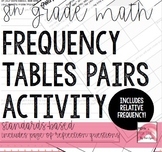 8.SP.4 8th grade Common Core statistics. 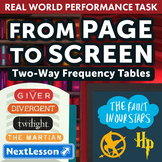 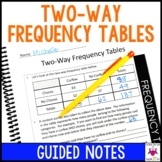 Students survey fellow classmates and make a two-way frequency table. 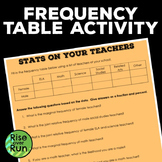 Questions involving marginal relative frequencies and joint relative frequencies follow. 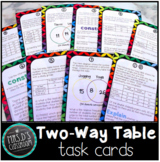 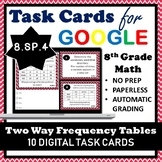 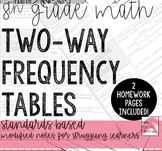 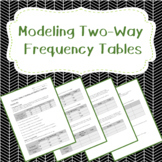 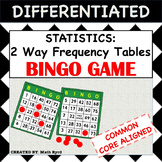 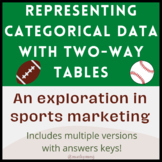 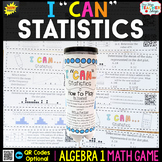 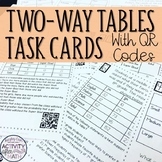 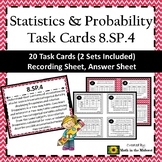 Statistics:2 Way Frequency Tables BINGO GAME & Complete lesson!